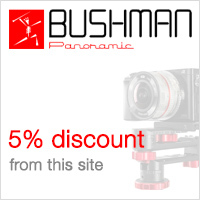 Bushman Panoramic Kalahari V2 - New! We don't always think about it because it's not its first vocation but Photoshop has a built-in plugin to stitch panoramas. It works quite well but is very limited in terms of possibilities. So as a stopgag solution, why not? 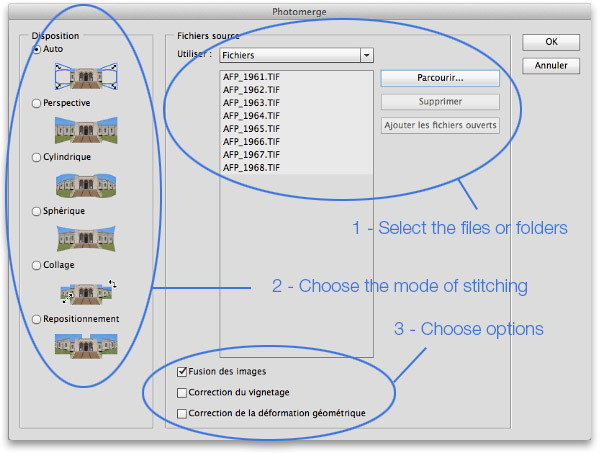 Among all pieces of panorama software on the market, there's one which name appears from time to time because it's free - in a way - and above all part of a software suite almost all photographers have: Photoshop's Photomerge. 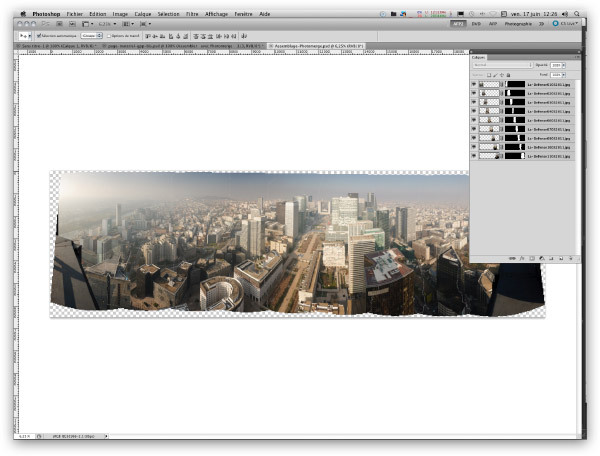 It's a simple plugin but often efficient to stitch "simple" panoramas in a very qualitative way. 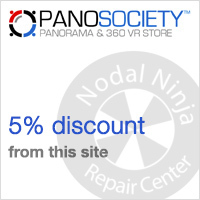 It can thus be of great help even if it's limited, quite slow, not very convenient and that every panorama enthusiast can try it but will soon enough go back to dedicated panorama software. Caution! This software can't assemble complete spherical photos to create, for instance, a virtual tour. Photomerge CC: new or not? The presentation and tools of Photomerge integrated into the new CC 2019 are identical to the previous version 2017 and CS6. Since CC2015 it is possible to assemble RAW files from Camera Raw.. The piece of software is naturally installed with Photoshop so there's nothing to do. To stitch a panorama, you just have to open Photomerge via the Menu File / Automation / Photomerge... A new window opens. 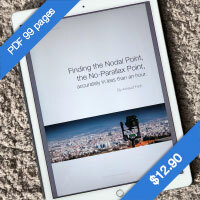 Unlike professional panorama software, Photomerge's interface is very simple. 1 - Select all the photos you want to stitch together and choose the geometric projection you want; if you don't know how to choose, leave it on automatic or read the page of this guide dedicated to geometric projections in panoramic photography by stitching. 2 - Choose the geometric projection mode of the final panorama. In Photomerge, the geometric projection choice is done in the left column "Disposition". - The Auto mode lets Photomerge handle automatically the geometric projection that suits best depending on the field of view detected. It works very well BUT, in curved mode, you don't know if it's going to pick Cylindric or Spherical, as Mercator doesn't exist. - The Perspective mode is no more, no less than a rectilinear, or straight, geometric projection. It's the ideal projection when the field of view is below 100° of width and above all for those who don't like curved horizontal lines in their photos. 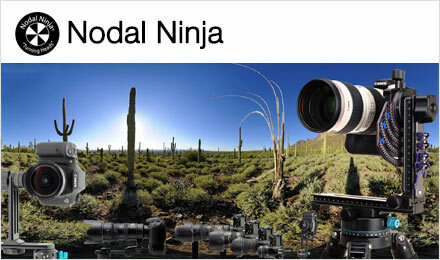 - The cylindric mode is Photomerge's default mode when it stitches numerous photos and the field of view goes over 100°. It is thus a curved geometry but it tends to stretch the final panoramic photography in height. 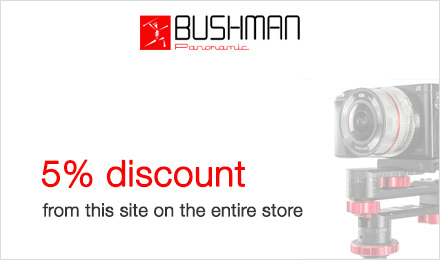 Be careful when you use it with photos taken with a very wide-angle - below 35 mm -. The perspectives are straightened. - The spherical mode is a curved version of the cylindric mode. The difference with the cylindric mode is as compression in height of the panoramic photography. If you're shooting with a focal at least 35 mm, you won't see much of a difference between the two of them - except if you tilt your body when shooting to simulate a shifting -. Caution! This mode doesn't enable to stitch a complete sphere. - The stitching mode is used to stitch the photos WITHOUT straightening the perspectives if you've tilted your body during the shooting. - The repositioning mode is, as for itself, for the least original if used to stitch a panorama, which doesn't look like its primary vocation. It can't stitch low or high-angle shots correctly. Indeed, it seems to me that this menu is rather used to restitch together shots taken with the camera in hand with a move of the camera between several views. It's more a compilation of photos then, a superimposition in order to, for instance, only keep what hasn't moved and remove the pedestrians. A priori, you'll always leave the option "Merge" checked because it enables to merge the images together so that there's no visible stitching zone into the final photo. If the photos haven't been corrected BEFORE in Camera Raw for instance, it is almost essential with certain shots to check the option "Vignetting correction". Check it by default is never a bad choice, except if you've made the correction before! Then, still if you haven't corrected your files before, in Camera Raw or using demosaicing software, it can be very useful to correct distortions BEFORE stitching. If the option "Correction of the geometric distortion", meaning of the lenses, isn't always useful, it never hurts either. When everything's ready, click OK. The stitching is launched. You need to let the software work and its work is noticeably slower than with dedicated software, without it being crippling. I remind you that from my point of view, it is software that will be used punctually, to help, and not of a tool that will be part of a regular workflow in panoramic photography. 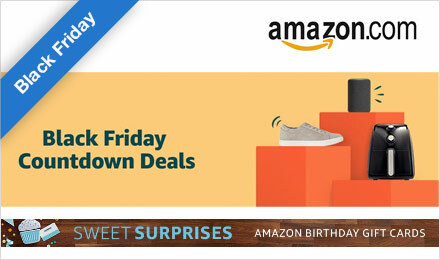 The stitched image is displayed under the form of a multilayer photo in Photoshop. Each image is on a different layer with its layer mask. It is thus completely ready to be edited. There's no possibility to easily make luminosity / chromaticism corrections in individual photos. The geometric projection can only be changed by launching a new stitching at step 1. You only need to make the last edits to complete your panorama.